Pure Energy Extra Strength from Results RNA contains powerful nutrients to support physical and mental energy. Most energy products provide only a temporary lift that you pay for later as your energy levels crash. 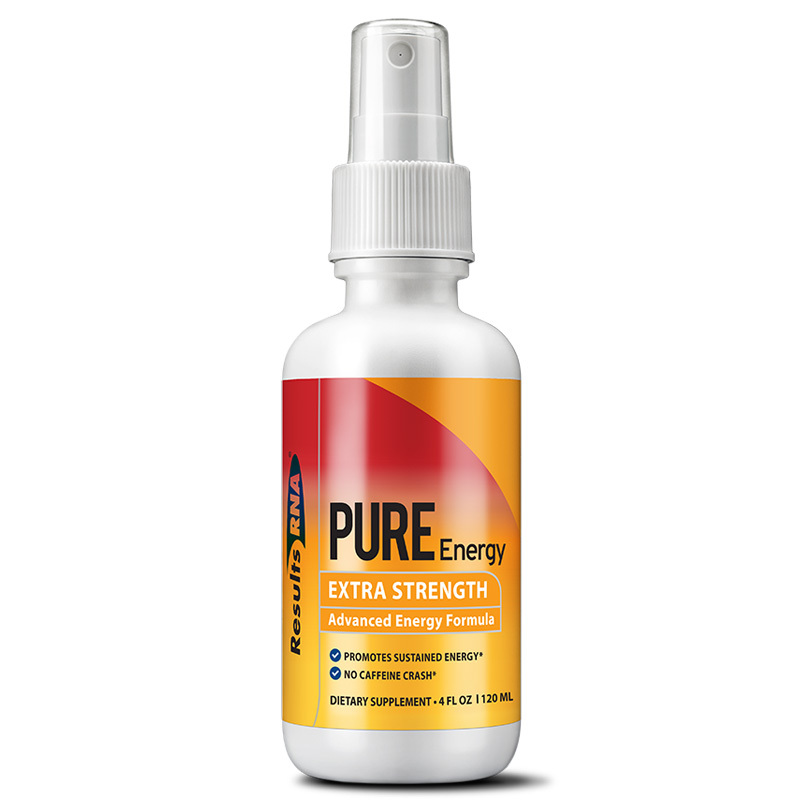 Pure Energy Extra Strength is a different kind of energy formula. Containing no stimulants of any kind, this unique spray provides focused nutrients that support enhanced Serotonin and Melatonin production. Having increased amounts of these important neurotransmitters in your body is significant. Simply stated, you will have more energy during the day, while enjoying a deeper and more rejuvenating sleep at night. Awaken every morning feeling refreshed, with energy to outlast the day. Pure Energy Extra Strength results are fast acting and reliable. Kelp (Laminaria species), Gotu Kola Herb (Centella asiatica), Ashwaganda Root (Withania somnifera), Dandelion Leaf (Taraxacum officinale), Licorice Root (Glycyrrhiza glabra), Peppermint Leaf (Mentha x piperita) and Natural Minerals.